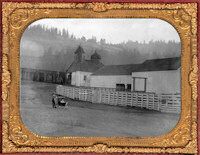 The following framed pictures are an important part of Josephine Benitz’s personal collection. 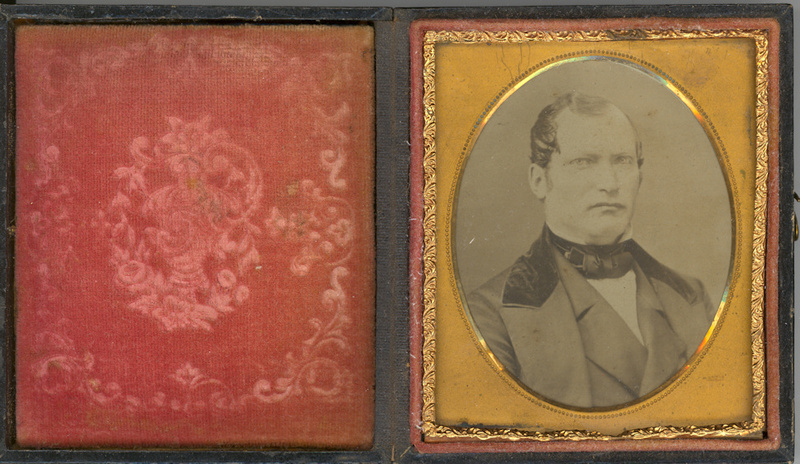 They are the first (often only) pictures we have of the subject (person or landscape). 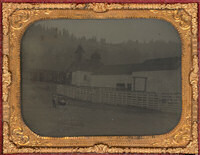 All the photos on this page were taken between 1850 and 1870. 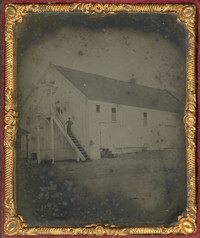 It is very unlikely there are any earlier photos. Photography was invented in France in 1839, and the first photographer arrived in San Francisco (California, USA) in 1849. 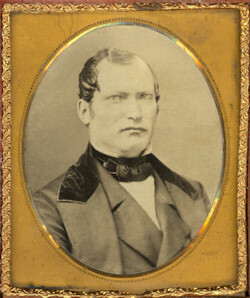 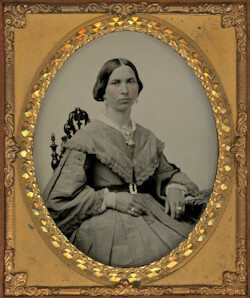 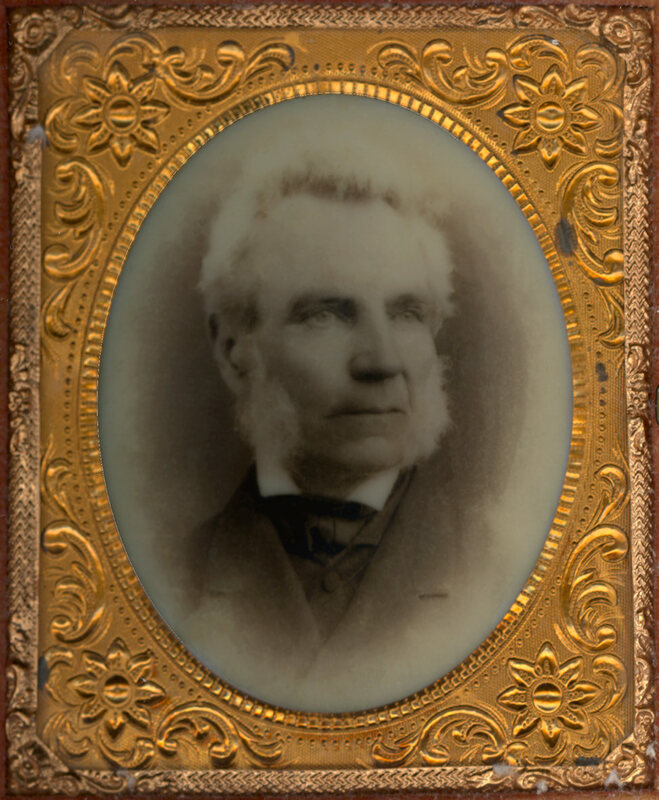 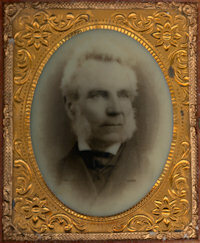 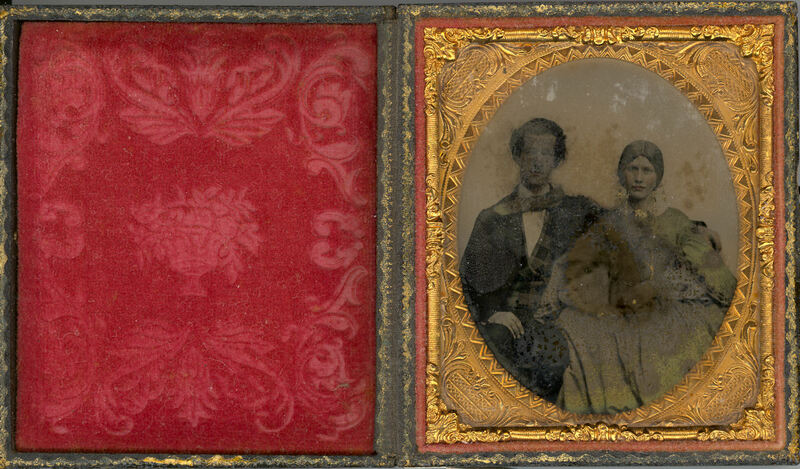 The photos are daguerreotypes, ambrotypes, or tintypes in golden frames and red velvet lined cases. 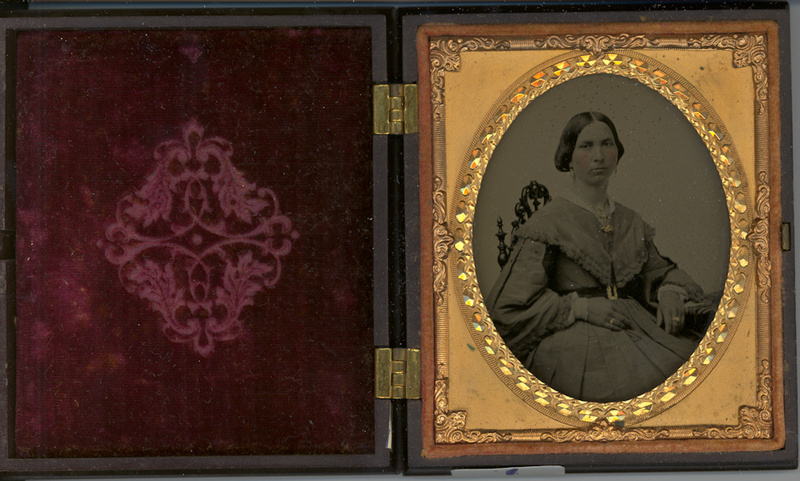 The pictures were kept in a large tin-box (cookie or candy). 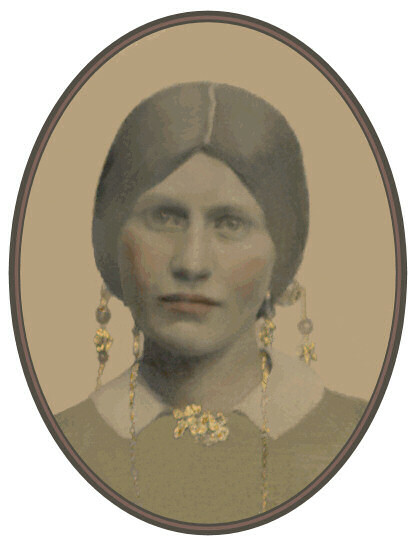 Most, if not all, have suffered with the years. 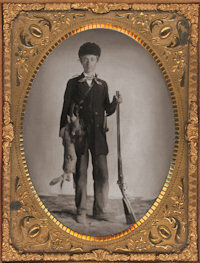 Many are exceedingly dark, others are covered in stains. 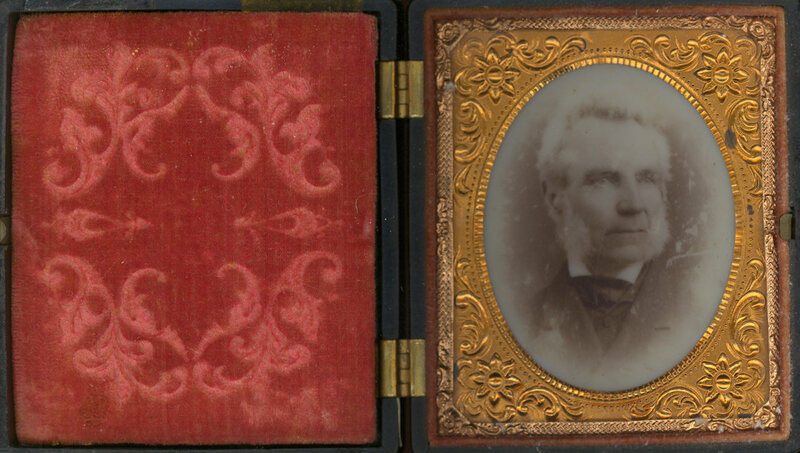 We scanned the originals in their frames. 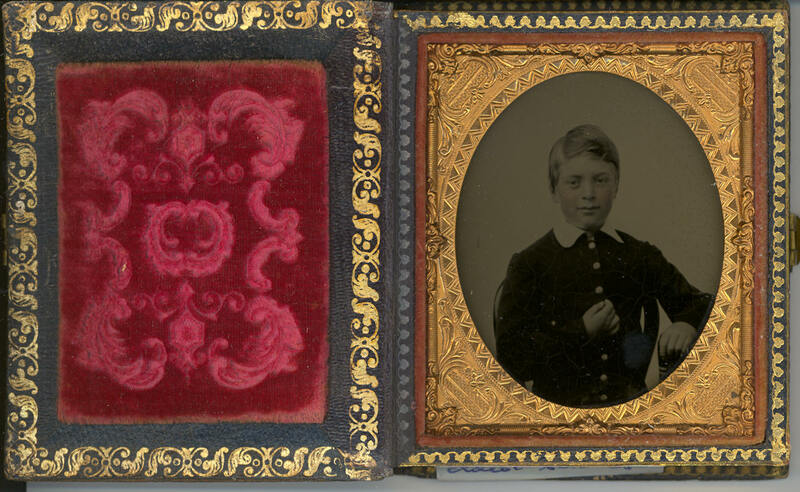 To restore each image, we excised it from its frame, worked on it, and then put it back. 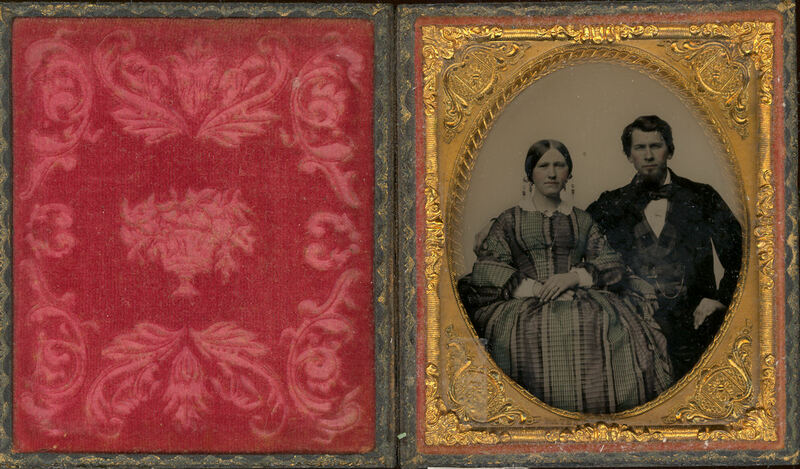 It is wonderfully rewarding to see a photo come back to life — see for yourself below. 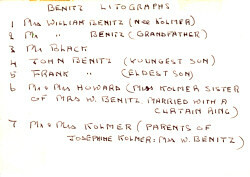 ... Frank had our photographs on the table when I came home, I gave one to Father, Frank and Bella, Bella said that she would give me one of hers in return. 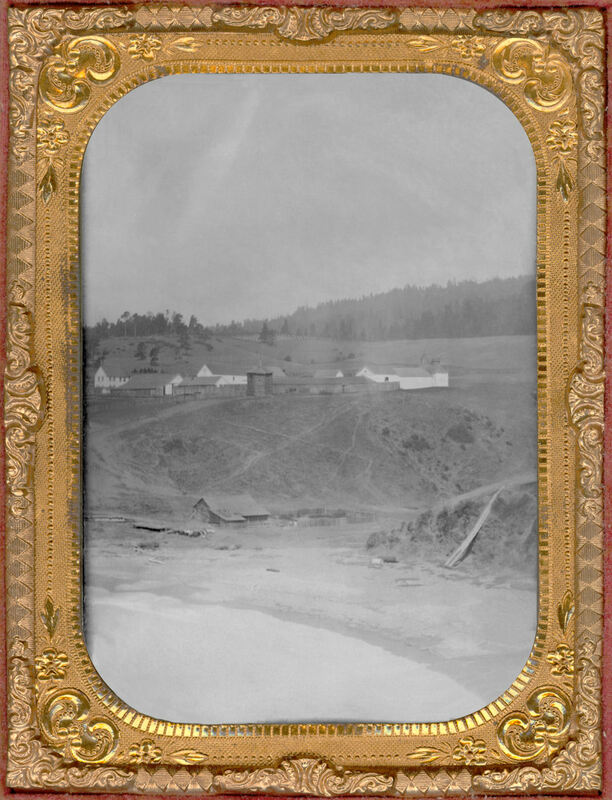 Frank also had a large photograph of our house at Fort Ross, and of father about 20 years ago, and of mother about 15 years ago. and then of himself about 12 years ago and of Josephine when she was three years old, and then he had another picture of himself coming home from hunting. 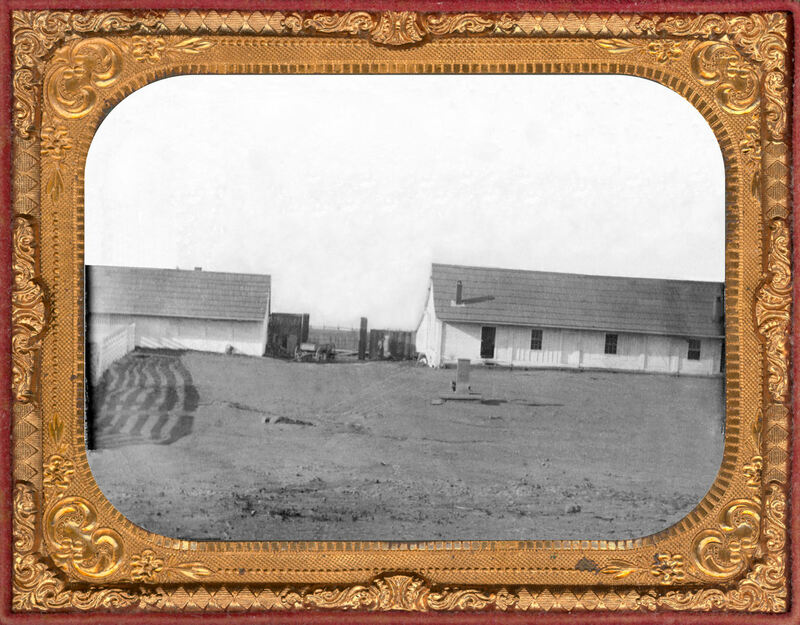 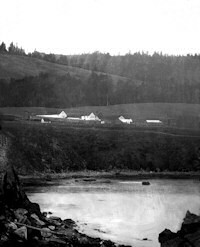 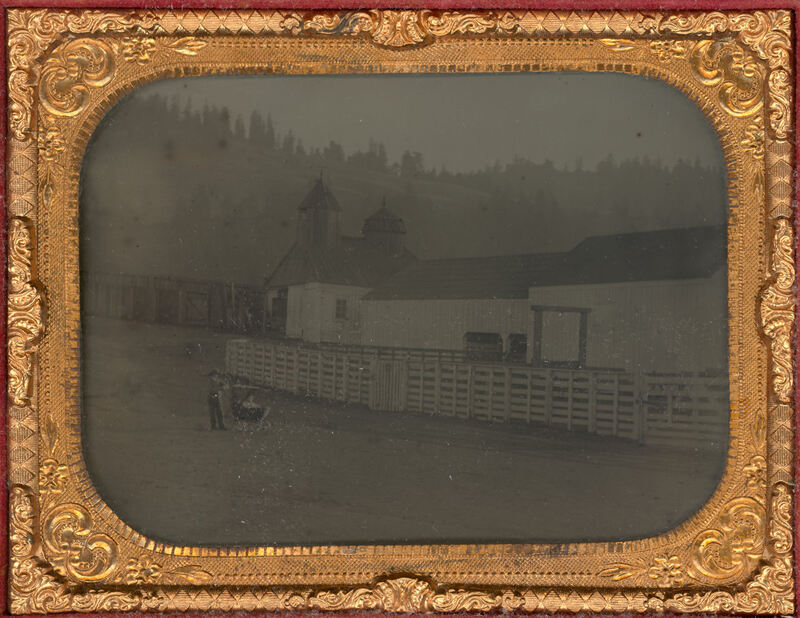 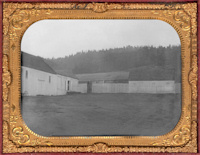 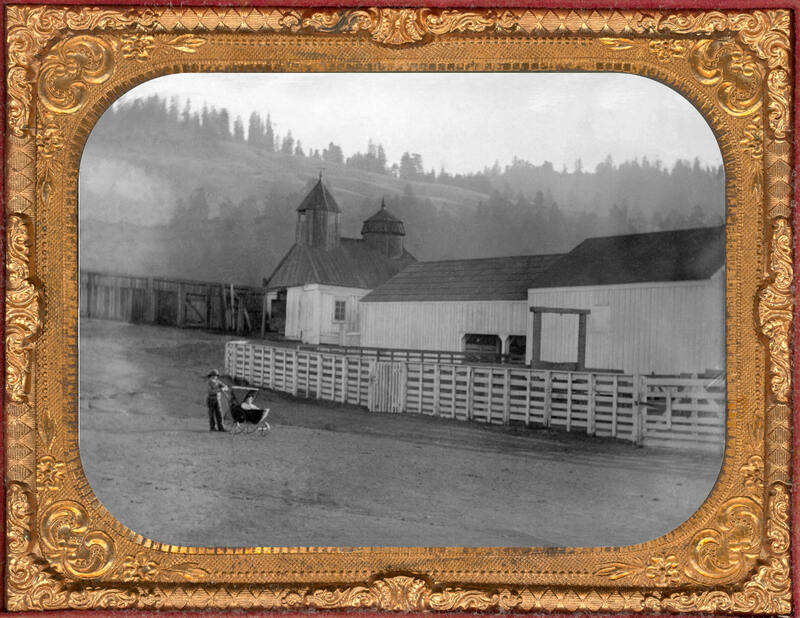 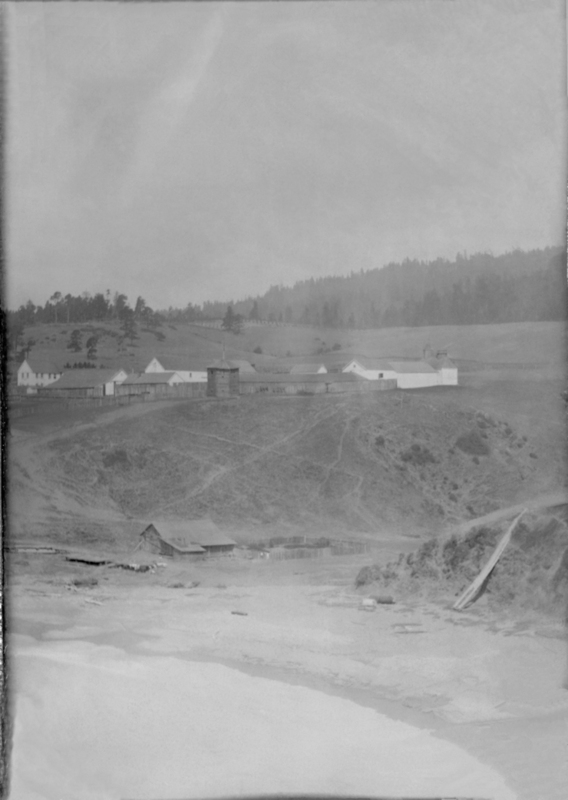 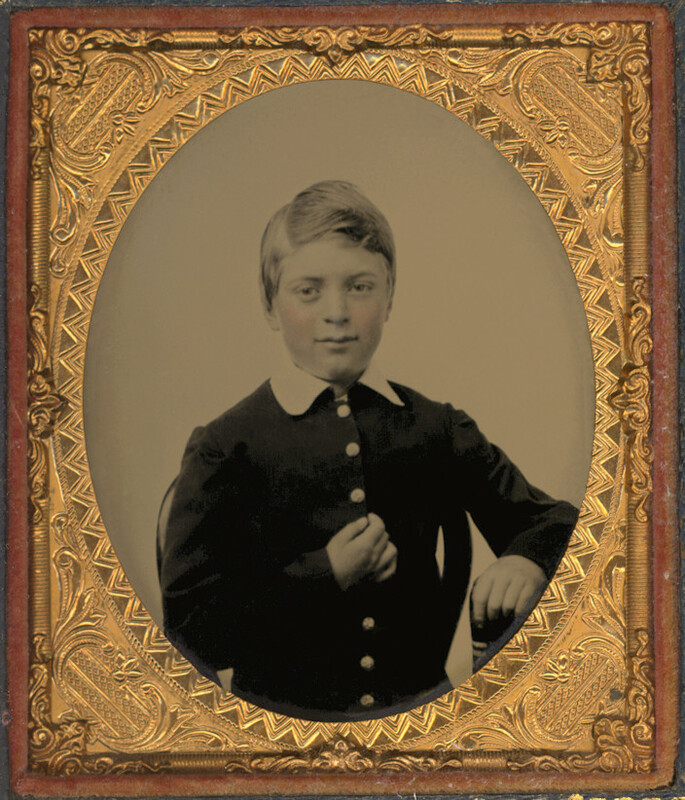 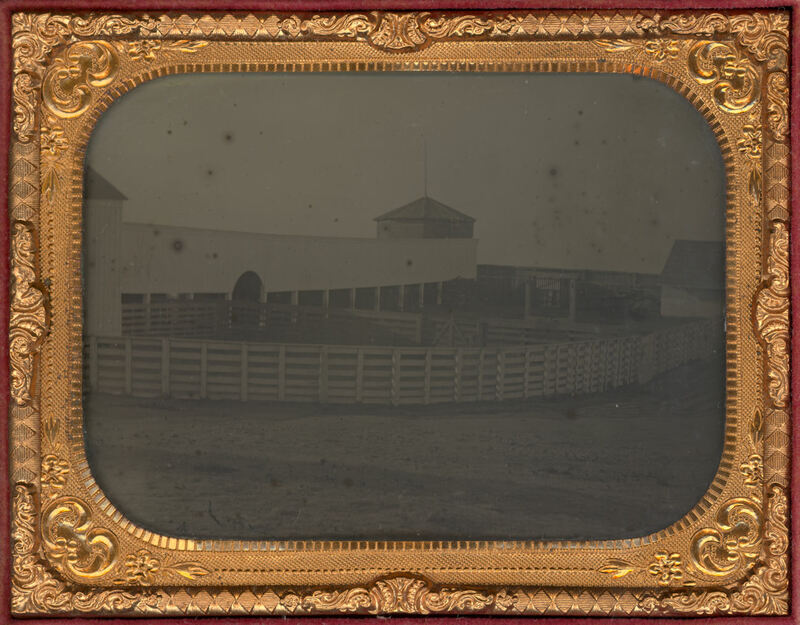 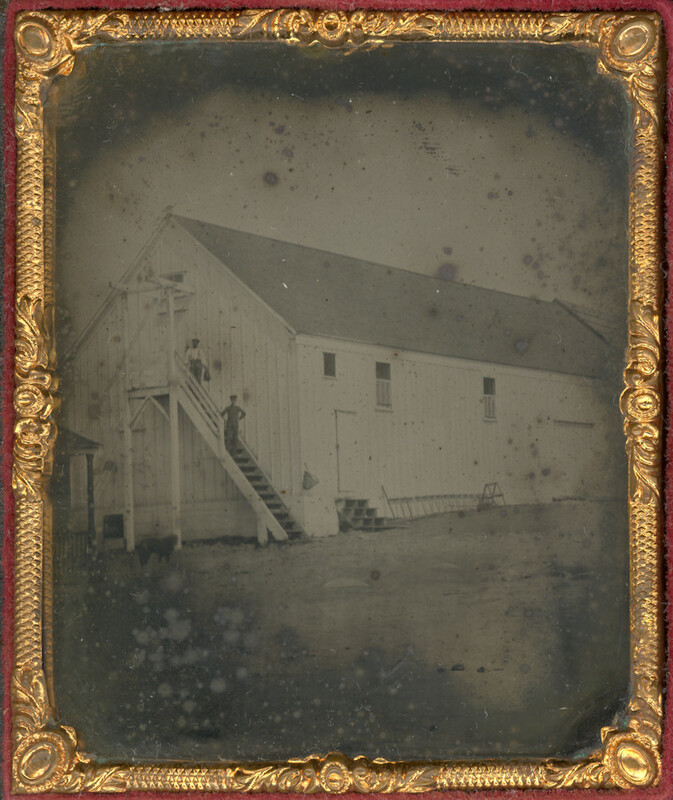 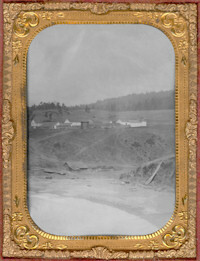 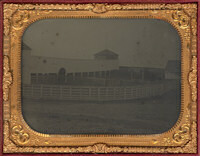 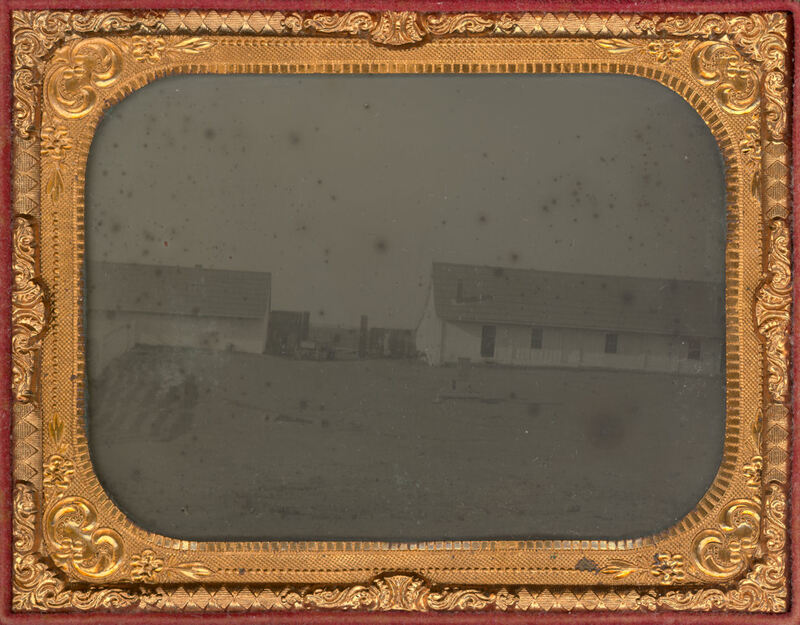 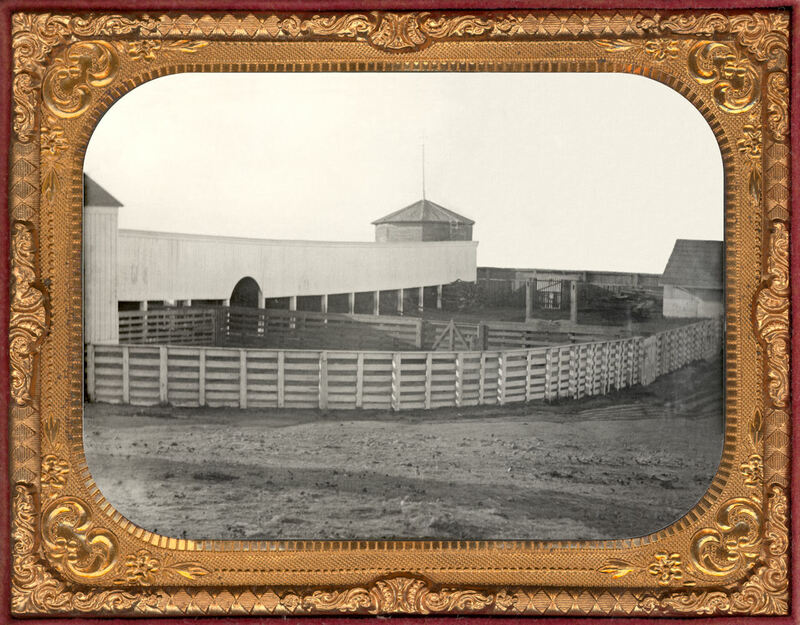 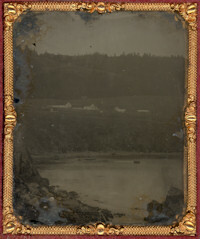 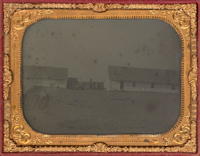 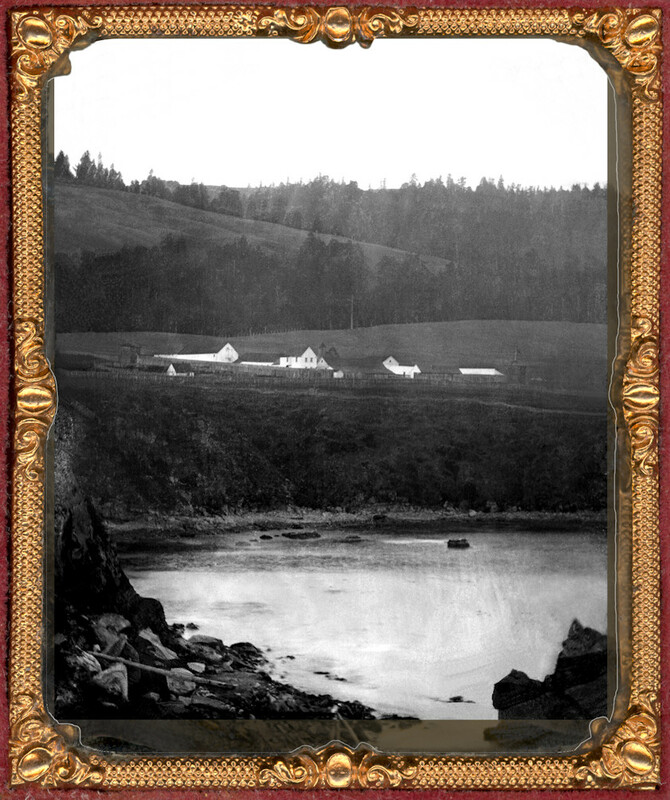 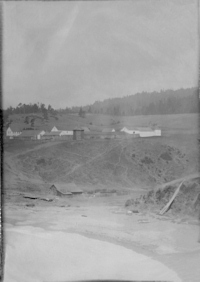 There are 2 important photos missing from Josephine’s collection, both were taken at Fort Ross ca.1866 — of the family house (ex-Rotchev), and of Josephine and her children. 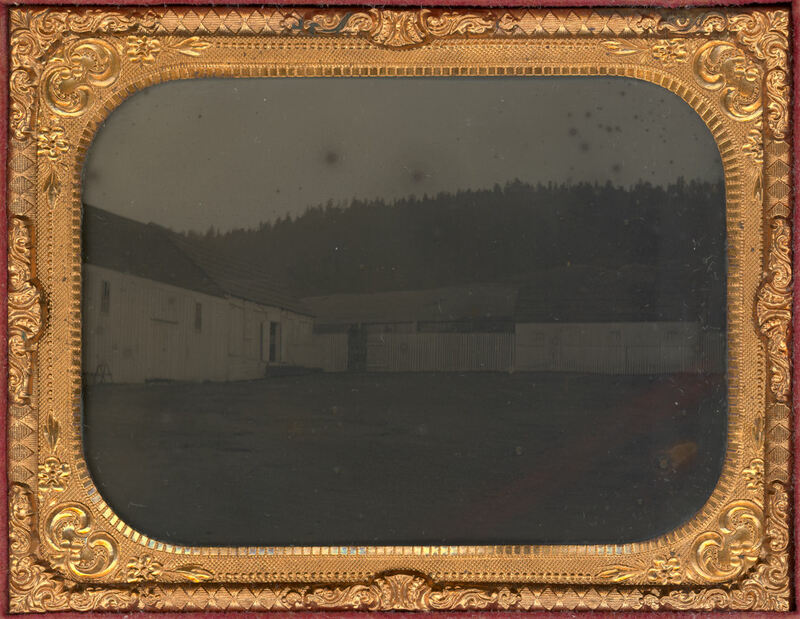 We know both these pictures existed (and may still) because the museum at Fort Ross has a grainy copy of the first, and we discovered a photo of the second in Malcolm Benitz’s pack-rat “files”. 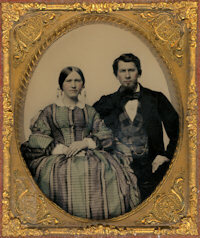 We have included them both here as at some point they must surely have been part of Josephine’s collection. 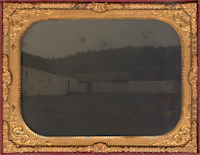 picture frame are visible in the corners. 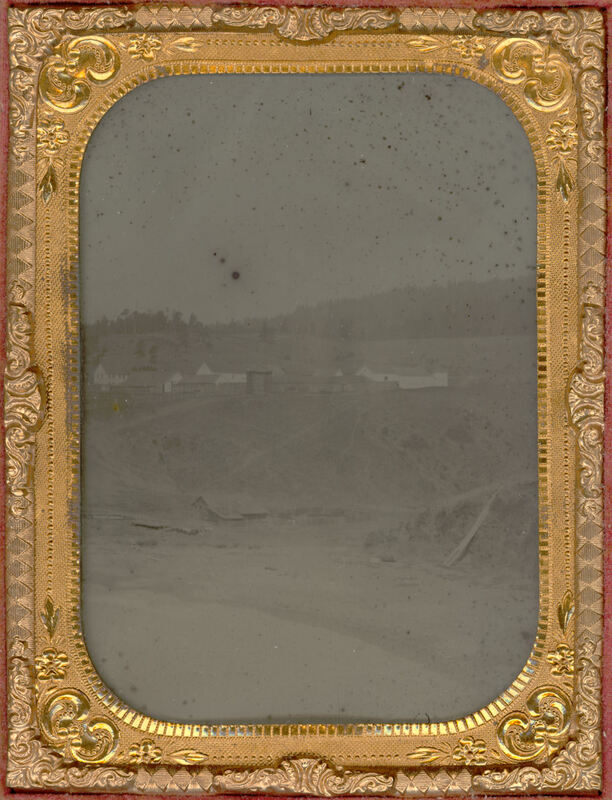 We believe the following pictures, including the family group above, were all taken by a single photographer over a period of a few days before William sold the fort and the family moved to Oakland. 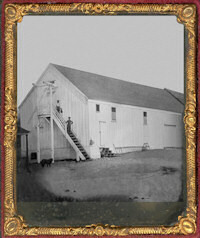 It is possible the photos were taken for sales promotional purposes. 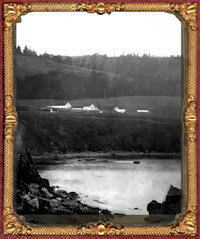 William gave title to tenants in Timbercove in July-August, 1866, and sold the fort in March & April 1867. We added the diagram (at right) and the photo of the family house (at bottom). 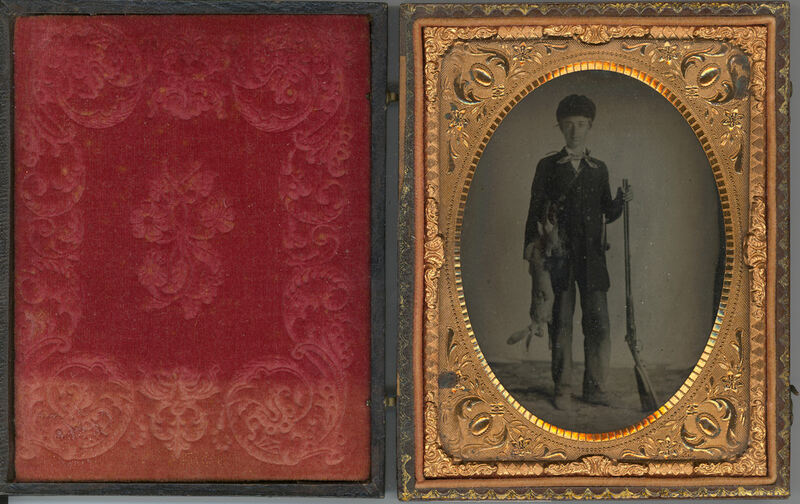 Neither are in the current collection. 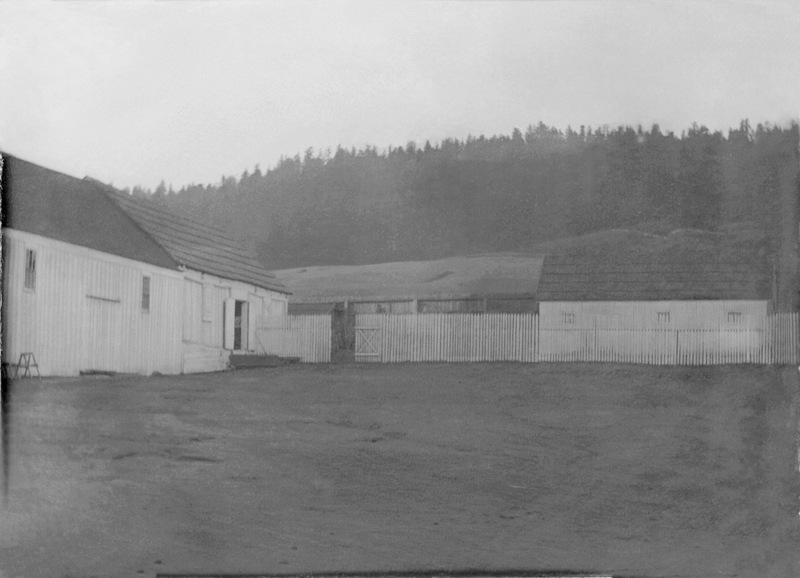 Most of the buildings date from the Russian era with some modifications. 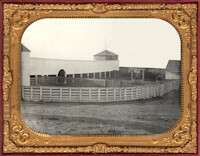 The 2-storey building was built by William as an addition to the Rotchev house in which they lived. 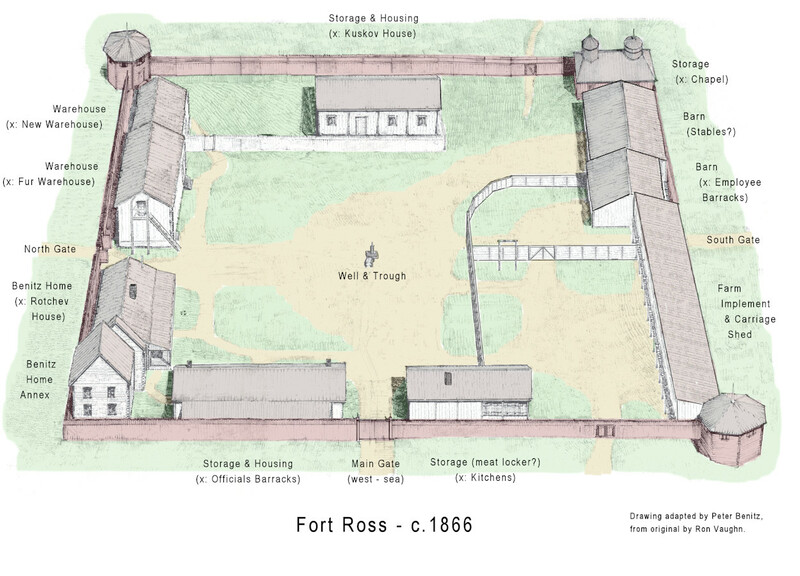 Notice the numerous fences & enclosures, and that there is banner flying above the right (SW) bastion. 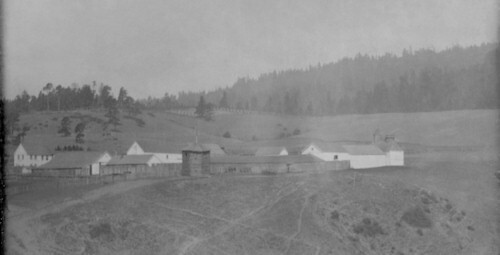 Most of the buildings date from the Russian era with some modifications. 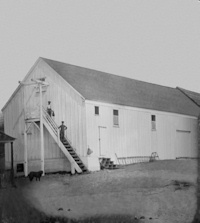 The leftmost 2-storey building was built by William as an addition to the Rotchev house (not visible) in which they lived. 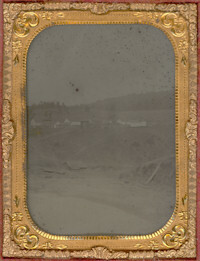 The orchards can be seen up on the hill beyond. 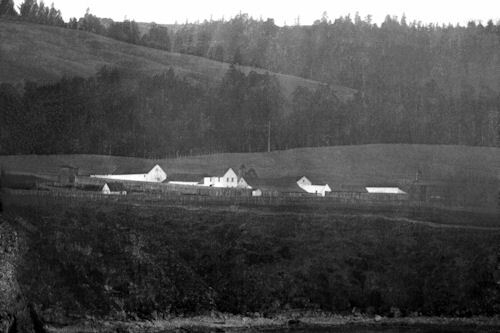 The orchards are above fort on the hill. 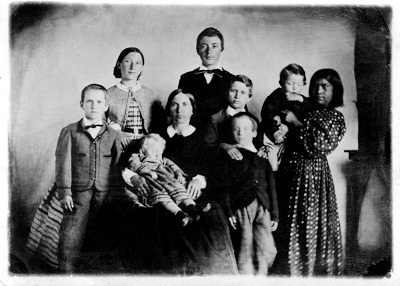 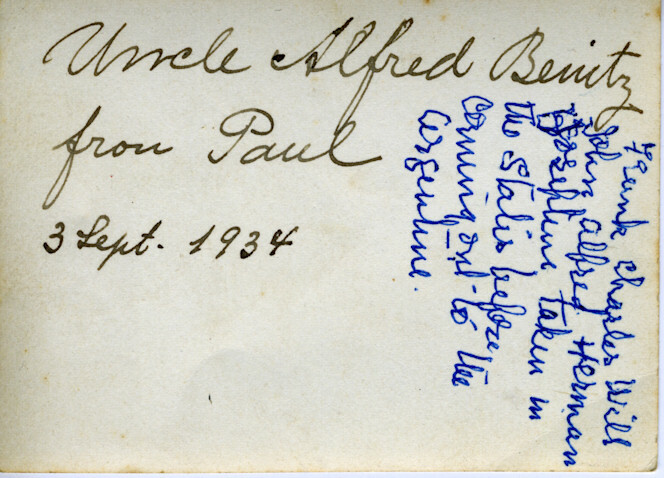 (Frank X.Bz and son William?). Created by merging the 2 pictures above this one. The Russian chapel is back-center and employee barracks (converted into a barn) are to its right. The child in the 3-wheel baby-carriage is probably Herman (aged 2) with Alfred (7) pushing. 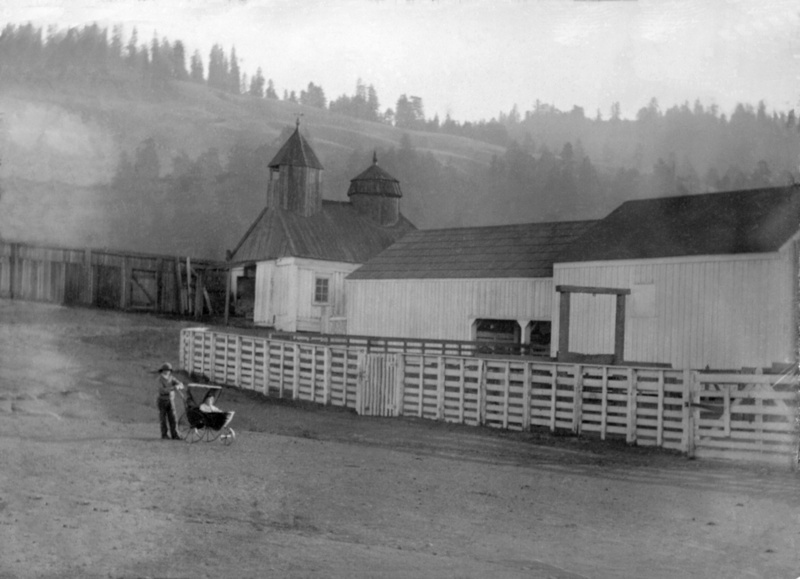 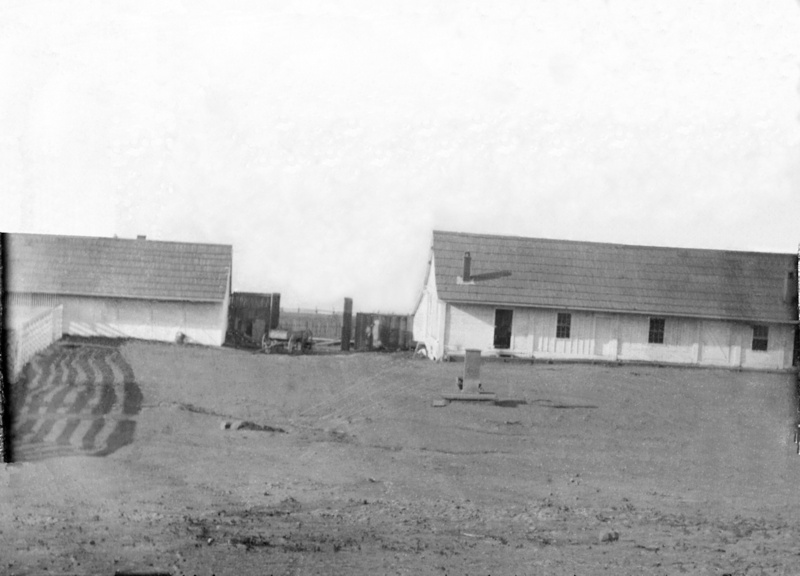 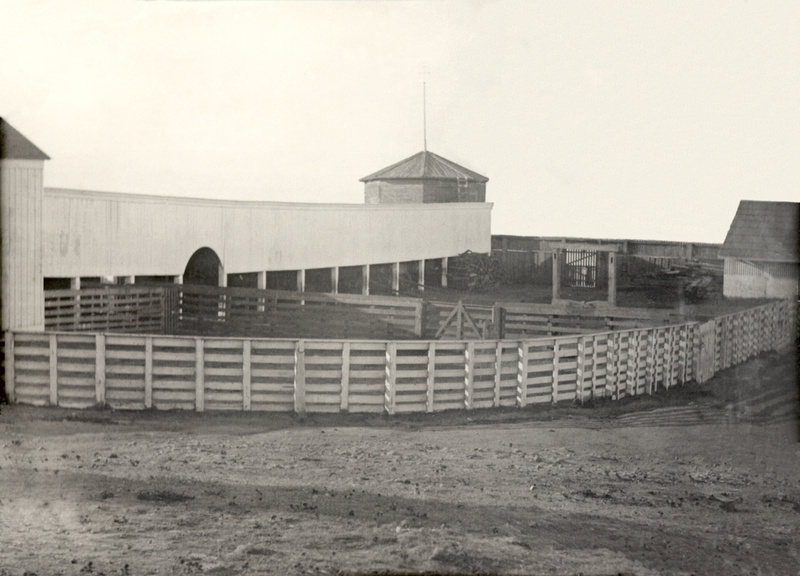 Russian era buildings, L-R: New-Kitchens, main gate, and Officials Barracks. The family house (former Kuskov house with additions).